Add onion, green pepper and taco seasoning according to packet directions. Then add refried beans and tomato soup. 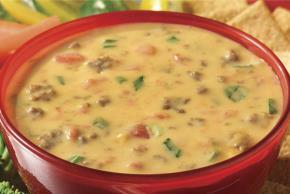 Then add the cubed Velveeta - stir until melted.